For Rodeo Bull hire in Greater Manchester and the Alderley Edge, contact Rodeo Empire . Our drivers will deliver to anywhere in the North West of the UK, providing your party with the ultimate in Rodeo Bull Hire or Rodeo Bull event. All the units from Rodeo Empire are clean and replaced on a regular basis. We are proud to have held bookings with major clients such as Manchester City Council, Mercedes Benz, Total Fitness, Manchester United Football Club and many other major events. 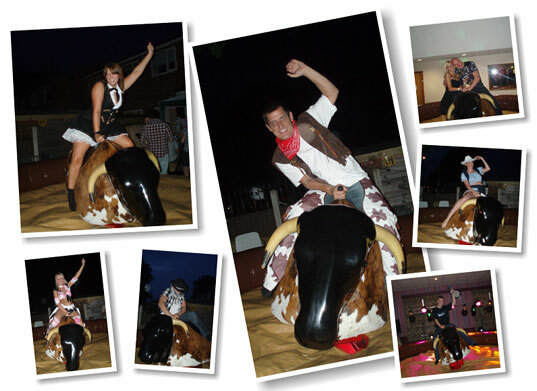 For all of your Rodeo Bull hire needs in Manchester and the Alderley Edge , contact Rodeo Empire Castle Hire today. You can book online or via phone. When you book online no deposit is required and you can cancel the event of bad weather with no penalty.